Visualize your company’s structure with just a few clicks. 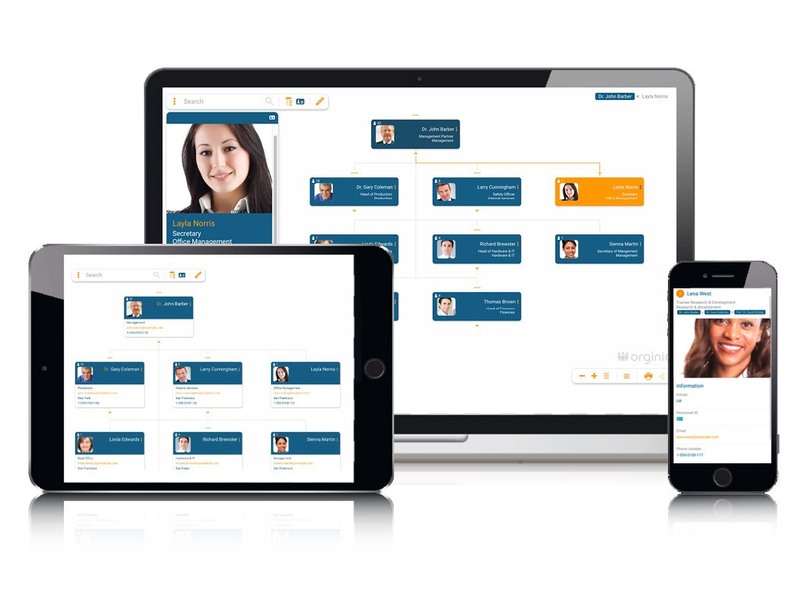 Your organizational chart will be created automatically after synchronizing your data from BambooHR with orginio. CSV files can also be used as data sources. We offer smart pre-set designs that you can easily customize at any time without affecting your previous work in the organogram. Use drag-and-drop to perform structural reorganizations, hence turning your org chart into an effective strategic tool for senior executives, HR managers, sales teams and group leaders. Personnel and company performance figures provide the basis for efficient HR controlling. The visualization is always up-to-date and can be shared with all colleagues via the online viewing mode. Be it at home, on the bus or in the airport - with orginio you always have your employee directory on your smart phone or tablet. The smart search functionality quickly delivers your search results. Finally, to export your org chart or specific branches use the web print function. No matter whether depth of structure, headcount, level, number of positions or span of control. orginio provides you with effective personnel or company performance figures. Identify new hires, top performers or flag potential flight risks. Turn your organizational chart into an effective strategic tool by visualizing critical KPIs metrics along your organizational structure. Do you want to find more information about a colleague, a position or a specific team? Just enter your search term and the search hits will be displayed immediately. By clicking on the required search hit you automatically navigate to the box in the structure. Employees can retrieve the updated org chart via the Internet using the interactive viewing mode. 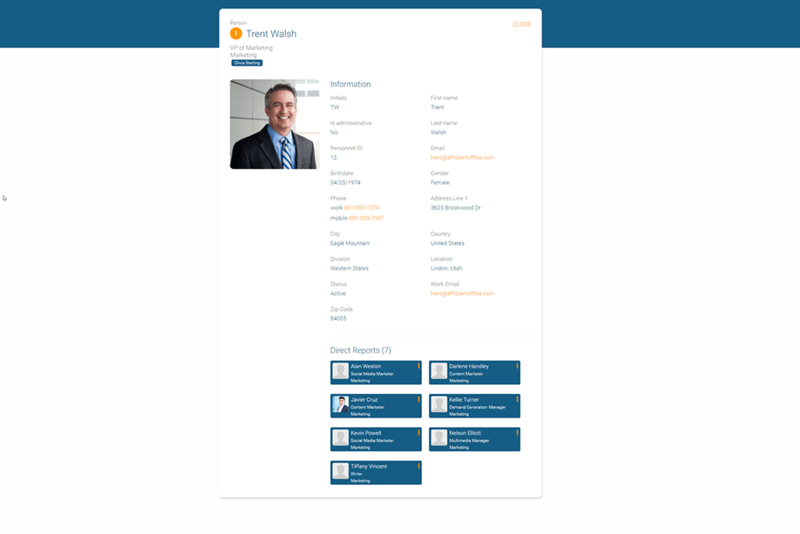 Show your current structure via a share link or share your live org chart via iframe embedded code in the intranet for use as an internal corporate directory. Easily print your desired org chart view to PDF for presentations or email. 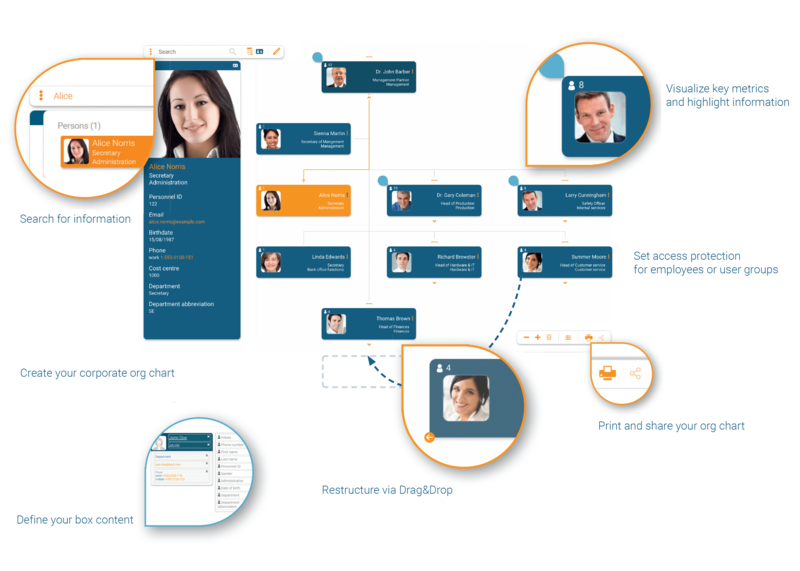 We include a standard framework and smart designs for the visualization of beautiful org charts. Or simply create your own individual color scheme and insert your company logo. orginio enables web-based scenario analysis and modeling without the need to modify the data in BambooHR. Easily reorganize your structure via Drag&Drop. Create and remove departments, individual employees or vacancies or add more specific information. Org modeling simulations can be completed in a simple and user-friendly manner. After having registered for orginio application, your individual orginio account is created. 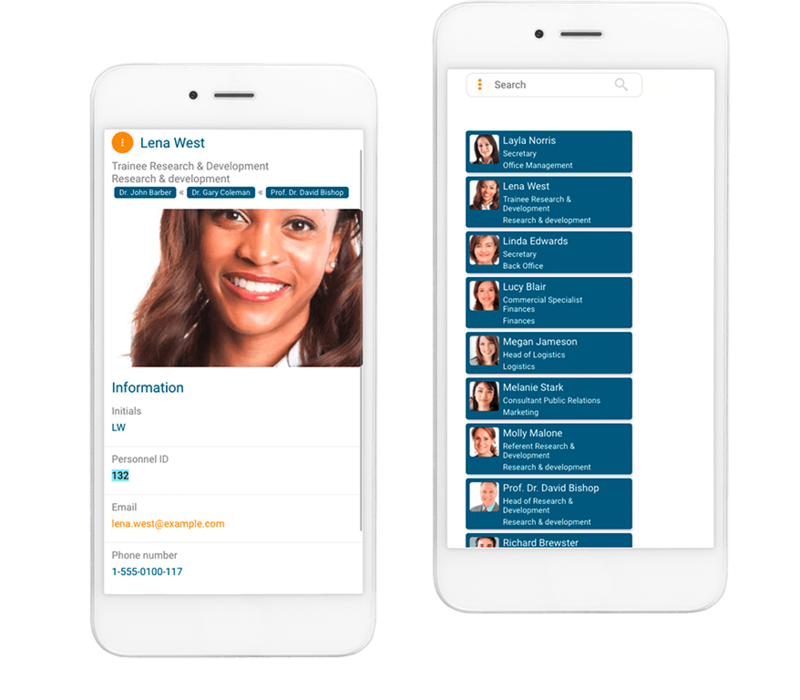 Once you have connected the BambooHR profile to orginio, the application creates automated org charts from your BambooHR data. Besides displaying employee structures, orginio can also be used to simulate reorganizations or to display critical KPI metrics. orginio enables automated organizational charting and HR controlling from BambooHR.